Gulf Harbour Country Club offers a newly refurbished gym designed to meet all your health and fitness needs. If it’s cardio you want we have the latest technology from Life Fitness. Our gym is equipped with treadmills, bikes, cross trainer and rower perfect for keeping your aerobic workouts challenging and fun. The best way to keep fit is to have a training programme with the right type of exercise for you. Our fitness instructors here at Gulf Harbour Country Club are happy to tailor an exercise programme to meet your needs. They will also show you how to use our weight training equipment safely and effectively. We have it all; weight machines to get you started, and free weights for the advanced gym-goers. Our 18 metre heated indoor pool is a great way to supplement your training with swimming on a regular basis. 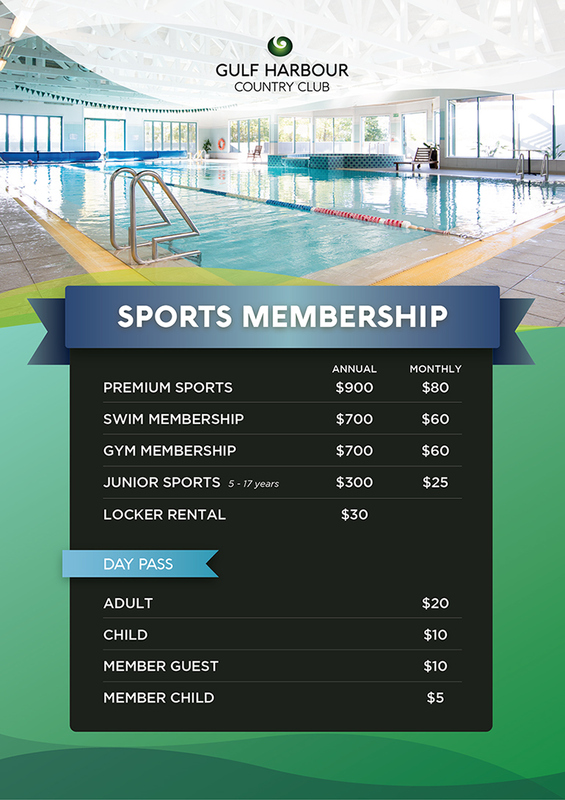 The fact that it is indoor and heated also means swimming is a breeze all year round! Whether your goal is to live a more active lifestyle or de-stress at the end of the day, Gulf Harbour Country Club is the place for you. As well as a gym and fitness studios, the Country Club also puts on regular fitness classes which are available to members and the general public on a pay as you go basis. This is a great way to get fit as well as an opportunity to meet other members and the wider Gulf Harbour community. Classes include zumba and circuit sessions. There is also a regular aqua-aerobics class that runs three times a week and is extremely popular.